Bicycle Commuting: Panniers | Flickr - Photo Sharing! 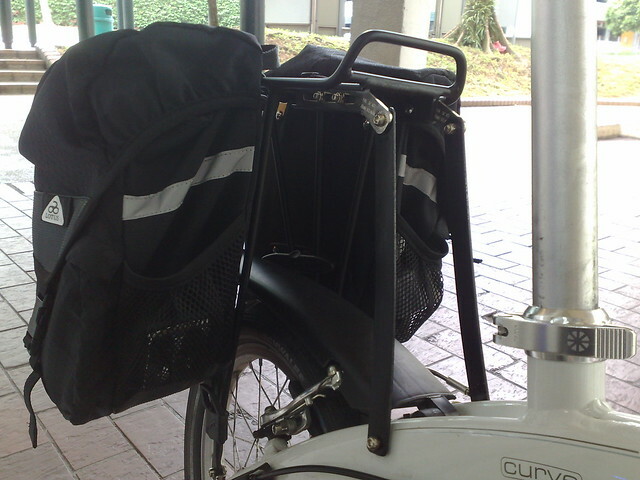 The front panniers I use on the rear rack of my Curve. Hi. It was a custom job by my LBS uncle. He took some aluminium strips and sprayed them black. You can probably get these at a hardware store. I'll see what my LBS has lying around.